You are here: Home / Weekly Columns / Opinion / Apple’s new iPad Pro Has a Serious iOS Problem. Apple’s new iPad Pro Has a Serious iOS Problem. 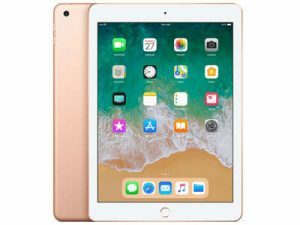 (ThyBlackMan.com) Apple’s new iPad Pro is the most powerful iPad you can buy in 2018. It is perfect for professionals and artists as it gets the job done with more comfort and ease. As a tablet, it gives a superior level of portability and on the hardware front, you won’t find anything that matches with its performance. Despite having all the essential features and hardware power that advanced users want from a professional grade tablet, Apple’s new iPad Pro has a serious problem – iOS. Artists and professionals can use the new iPad Pro for their projects and that too without connecting a keyboard and mouse. Problems arise when you try to use the device as a PC replacement. The whole experience of using the new iPad Pro as a laptop is frustrating and inconvenient. The device runs on Apple’s iOS platform and that’s why it feels limited. Despite having a lot of powerful hardware components, the iPad Pro fails to convince due to the limited features and functionality offered by the operating system. The new iPad Pro comes in two sizes 11-inch and 12.9inch. Apple now uses a new metallic flat band that helps improve the antenna for LTE connectivity and perfectly wraps around the device’s body. The rounded corners give the iPad Pro a familiar look and feel, while the speakers sitting on the top and bottom edges make it stand out from the pack. There’s a new USB-C port at the bottom, and on top, a 12-megapixel shooter sits in the middle. Apple has also introduced a new Pencil for the iPad Pro and it sits on the right side of the device and supports wireless charging. Magnets on the body allow users to attach keyboards and Apple Pencil to the device. Both the 11-inch and 12.9-inch displays offer an impressive resolution at 264 PPI. As far as the design is concerned, Apple’s new iPad Pro looks beautiful. The surrounding bezels are thin and as expected, the iPad Pro doesn’t feature a TouchID button as the company now uses Face ID for logins and AR features like Animoji. The new iPad Pro also features a TrueDepth camera to handle Face ID and photography. The new iPad Pro doesn’t include a headphone jack which is strange because artists, especially those who compose music and edit videos, are not happy with this decision. The USB-C port now handles the device’s connectivity with 3.5mm headphone jack. Inside the new iPad Pro, there is a powerful A12 Bionic chip that performs faster than every other chip Apple has released in the past. According to Apple, the performance of the device is even faster than most laptops sold in 2017. Several benchmark tests and hands-on review verdicts have confirmed that performance lags are nonexistent on Apple’s new iPad Pro. With all the power and design improvements, the iPad Pro is beautiful and its speed is amazing. There are many advantages of buying this device, but on the software front, the new iPad Pro fails very badly. Apple’s iOS 12 is still far from becoming a true desktop operating system. The software is impressive and it makes navigation easy, but when it comes to functional tasks, things become complex. From unzipping files to using the keyboard for typing, there’s so much more that you can’t easily do on the new iPad Pro. A large number of apps support the iOS, but not all of them obey Apple’s design restrictions. As a result, using iPad for even small tasks can become complicated at times. Apple has given everything to the new iPad Pro, but they haven’t designed the operating system for basic functionalities that laptops offer. For pro users, the new iPad fails to be a primary device. It is good when you’re traveling or want to get some light work done, but for more professional features and functionality, laptops are still irreplaceable. Here’s our take on what iPad and Surface tablets need to replace PCs. I have noticed several issues with apps not behaving and performing accurately. I tested the same apps on my 2015 iPad (the original) and the old iPad Pro functions correctly. I have noticed quirky keyboard issues and menu buttons not working properly. The imessaging app can’t load photos in landscape mode which is very annoying. When I connect my GoPro cameras the photo app opens sometimes but when it does iit said there are no photos/videos to import. The Face ID constantly requires multiple attempts to unlock the iPad and saids the camera is covered when it’s not. I am an Ipad user and I love it, but please Apple let me connect an extrenal hard drive. N o, there is n o serious problems… you just wanted us to click in your article with a dramatic title. Maybe you need to write truly powerful articles to get clicks. No, there is no serious problems… you just wanted us to click in your article with a dramatic title. Have to agree with Martin, you’re exagerating a lot. Firstly, it’s not a “serious problem”. You’re over reacting. Secondly, the iPad Pro is not a laptop replacement. It’s a different device. It can and does allow users to achieve many if not most, of the same tasks that a laptop can however it can do somethings a laptop can’t do, and a laptop can do somethings an iPad Pro can’t do. In many cases the two devices can achieve the same ends but in different ways. It’s also true that a laptop can never truly replace a desktop, nor can a desktop replace a laptop. These are all different tools to be used in different ways by different people. For me, an iPad Pro can replace my needs for a desktop about 95% of the time (currently). It can replace my need for a laptop 100% of the time. I haven’t used or needed a laptop for 4 years. But that’s me and my workflow. It won’t be like that for everyone. 4 Things the Apple TV Plus Can Do Better Than Other Streaming Services. 10 Things Every Dedicated Father Should Teach His Son. Do You Want To Save Over $100,000? Improve Your Credit Score Today! 10 Weird Things Almost All Men Think About In Free Time. Exercises, And More Excercises; Making Your Biceps Grow Is Much Simpler Than You Think. Christians; Does The Church Of Today Lack Power, Real Power? Is Bernie Sanders Stealing Donald Trump’s ‘No More Wars’ Issue? Donald Trump Is a Threat to the Constitution? Nice Try, Nancy Pelosi.